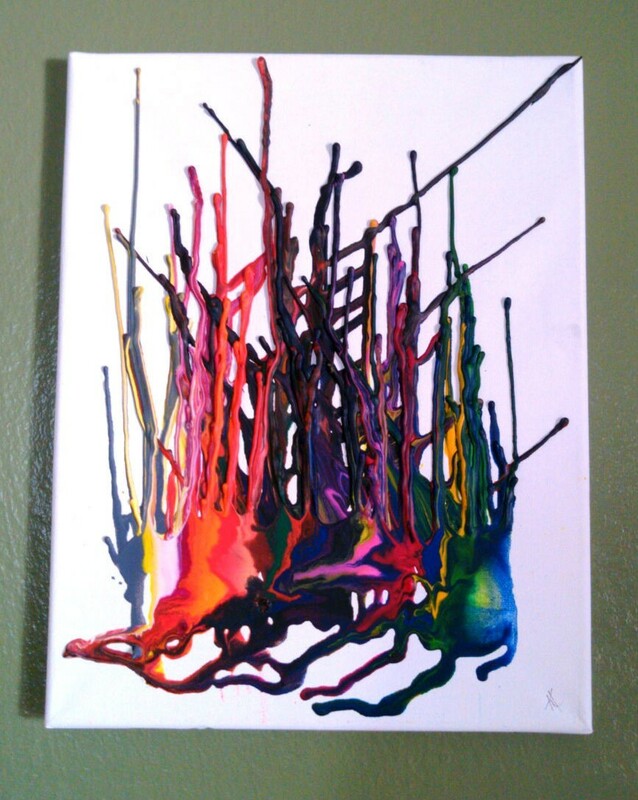 Some interesting artworks can be made by melting crayons onto a canvas. They can be simple or more complex. 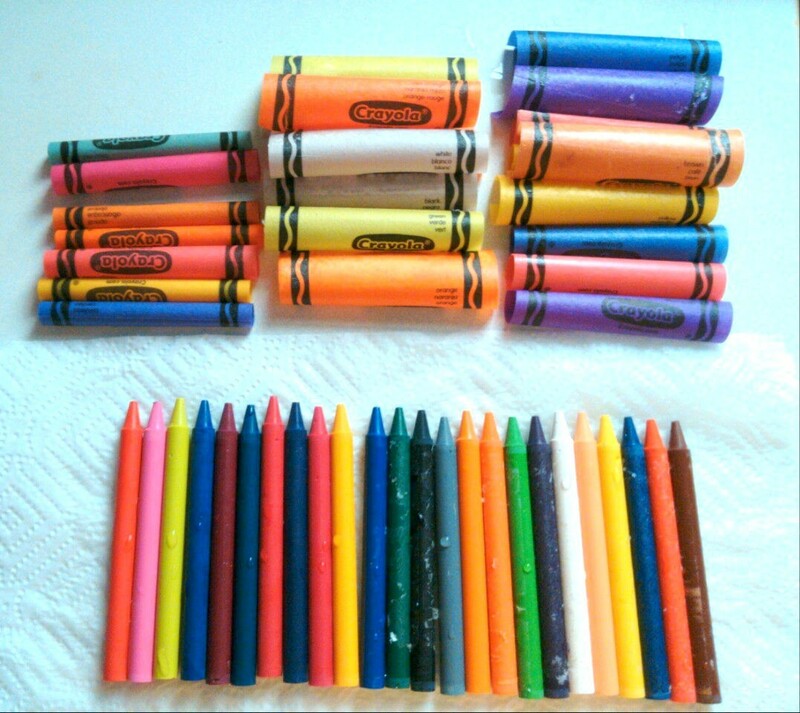 This is a guide about melted crayon masterpiece. 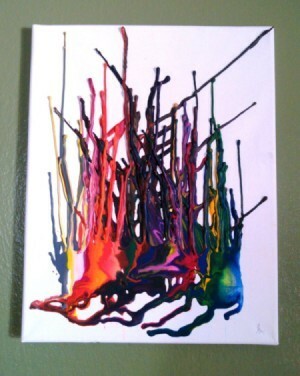 How to make a painting out of melted Crayola Crayons. 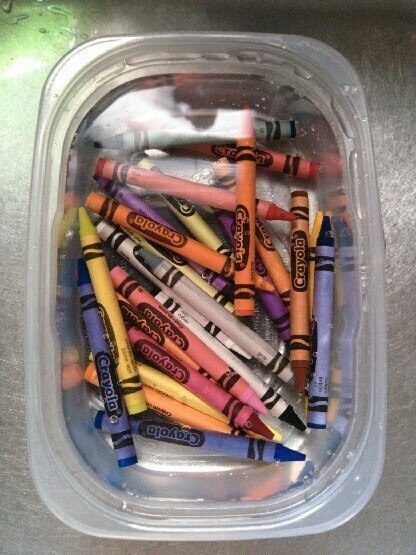 Get a bowl and place crayons inside. 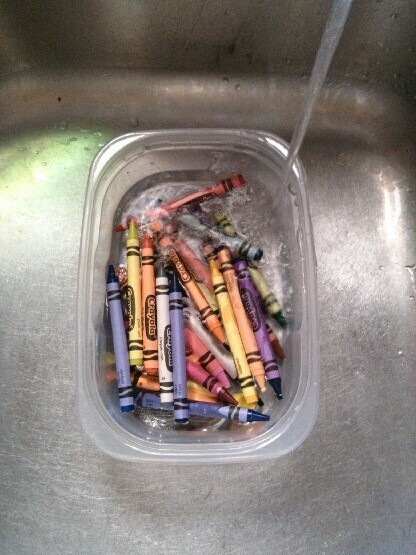 Run hot water in the bowl and let crayons sit a few minutes. 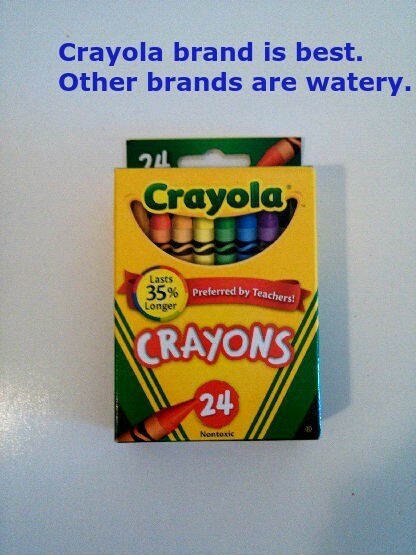 Most labels will slip right off. Wait a bit longer for others. 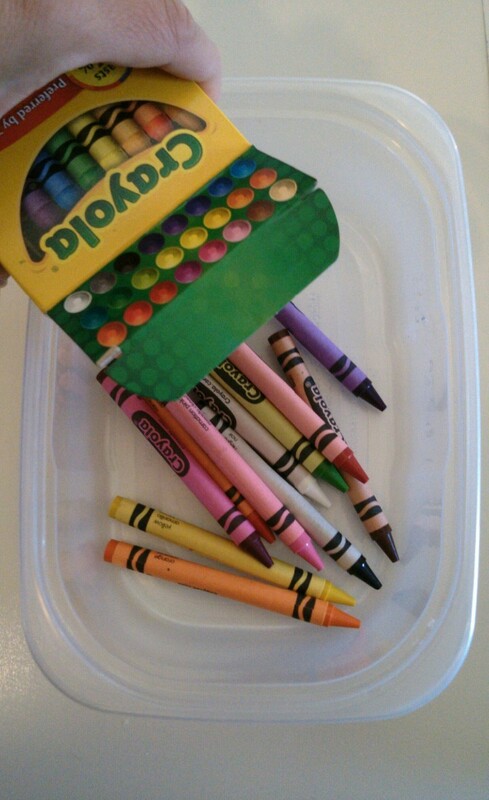 Place crayons on paper towel to dry. 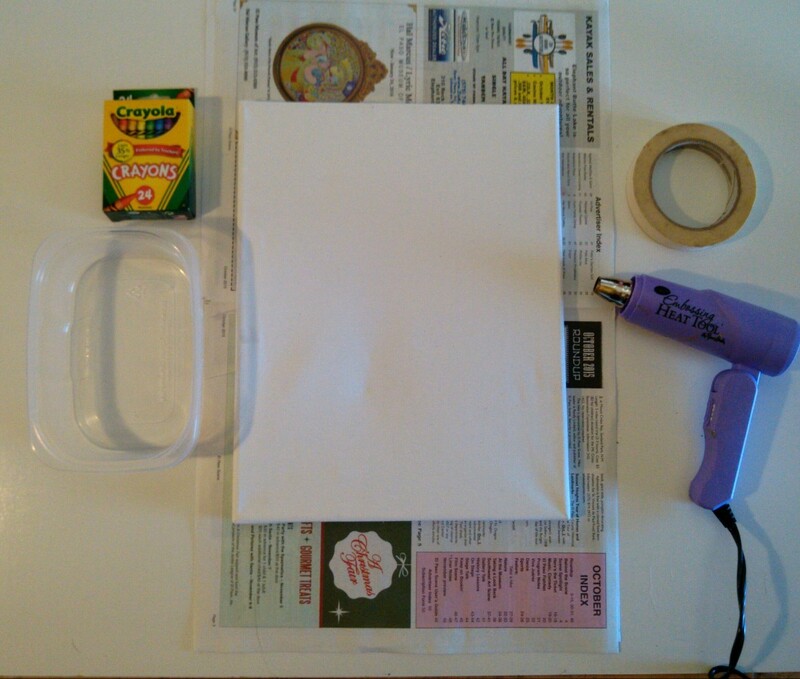 Keep wrappers for another craft if you'd like. 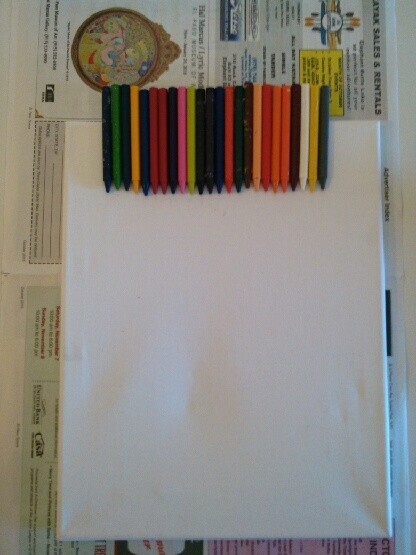 Align the crayons on top of canvas. Try to have them all about 2 inches over canvas. 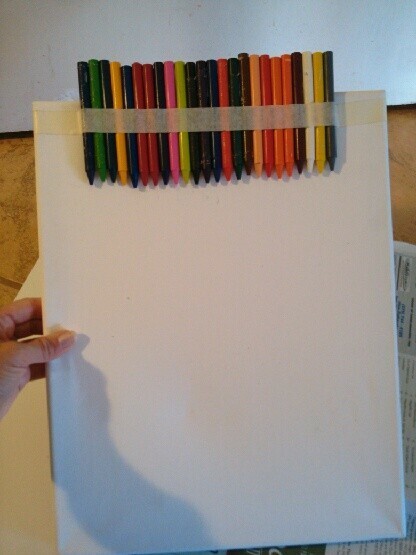 Use masking tape to hold crayons. 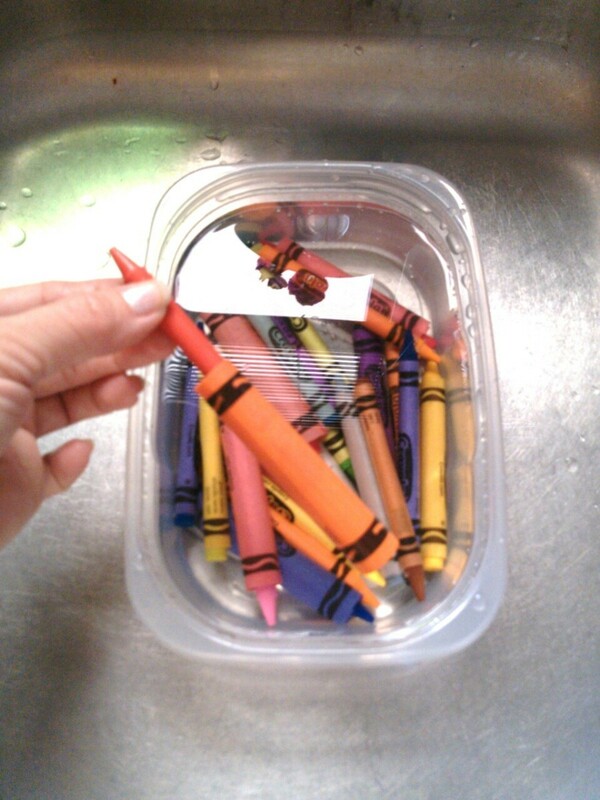 Lean the canvas forward just enough so crayons don't fall. 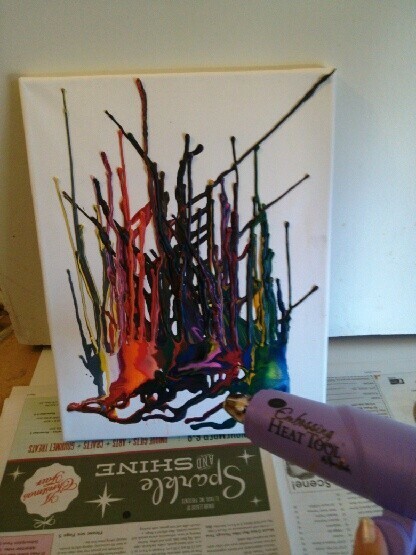 Begin to melt crayons below the tape. After melting a bit you can continue straight forward or wiggle canvas for extra effects. 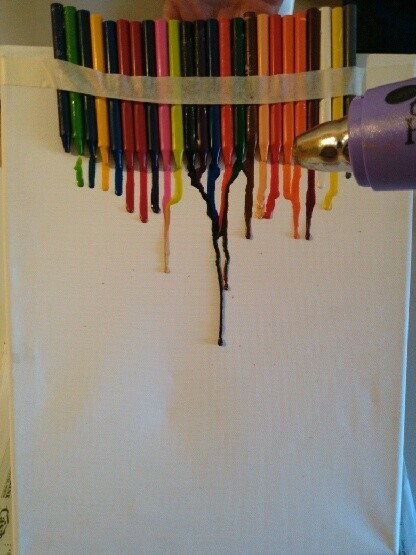 Keep melting until the crayon part below tape is flat. 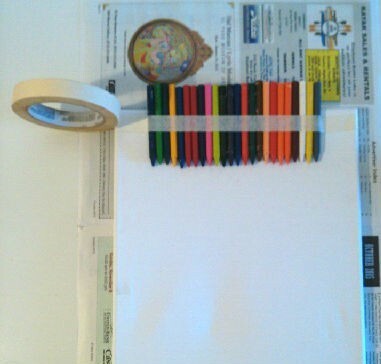 After that, remove tape and crayons. Turn upside down. Melt the botton to smooth out. You don't want chunks left or they will fall off. Sign your painting and hang. 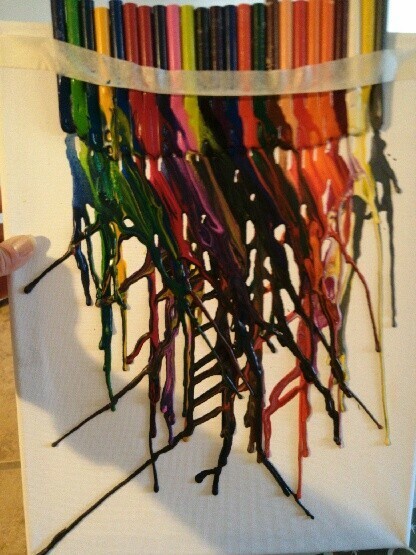 Enjoy your melted Crayon masterpiece!